If you are of a skeptical nature, you may be wondering how a simple declarative sentence–and that sentence in particular–could have so powerful an impact. Anything can happen anytime? Taken as a general proposition, that statement is demonstrably untrue. Pigs can’t fly and never will; the elbow does not bend outward. But even if the sentence is understood as a functional slogan rather than a literal truth, it might as easily be heard as a warning or a sigh of resignation or even a cry of despair. Why should it bring a sense of relief, much less a deepening sense of balance and peace? One answer is that the realization that “anything can happen anytime” shifts our orientation from the needs, expectations, and other aspects of the self to the impersonal causes and conditions underlying a particular event. When things go awry, it is all too easy to view one’s own actions–or someone else’s–as the sole or principal cause. In reality, however, most occurrences have multiple causes, and one’s own role, however large or small, conscious or unintentional, is only a part of the picture. External conditions–the weather, the time of day, the physical environment–may play as large or larger a part. To realize as much can lift a heavy and often misplaced burden of responsibility from our hearts and minds. By the same token, the recognition that “anything can happen anytime” can free us from the illusion of personal control. As Goldstein puts it, his mantra is a reminder that “yes, this is how things are. Conditions are always changing and often outside our control. We don’t have to live defensively if we accept that anything can happen anytime.” Insofar as we struggle to control what cannot be controlled, we suffer. And insofar as we imagine ourselves to be fully in charge of what happens in our lives, we live in delusion and denial. By summoning Goldstein’s mantra, or allowing it to arise of its own accord, we can restore our realism and our sense of proportion. At a deeper level, Goldstein’s mantra can also put us in touch with what Zen teachings call sunyata–a Sanskrit term variously translated as “emptiness,” “nothingness,” and “absolute reality.” Sunyata refers to the vast, interdependent network of changing causes and conditions, of which any one “thing” or event is a fluid part. The one includes the all. By reminding ourselves that anything can happen anytime, we also remind ourselves of sunyata, where energies are constantly being exchanged, where “this is, because that is,” and where, in an instant, what we thought was solid and enduring can disappear or become something else. Far from describing a void, the term sunyata evokes a field of radical impermanence and infinite possibility. And to contemplate sunyata is, in the fullness of time, to free ourselves from attachment to “things,” the past, and self-centered views. To be sure, Goldstein’s mantra may not be enough to release us from the anxieties, doubts, and fears that many of us entertain in our dreams and carry with us into our waking hours. Those mental pollutants are not so readily expunged. But “anything can happen anytime” may well help us to accept what Zen teachings call the “vicissitudes”–the ups and downs of gain and loss, praise and blame, health and infirmity, joy and pain. Evoked in times of stress, this resonant reminder can help us live with grace and equanimity in a world where things are seldom stable or certain, our paths are sometimes slippery, and anything can happen anytime. *Joseph Goldstein, Mindfulness (Sounds True, 2013), Kindle edition, 280. 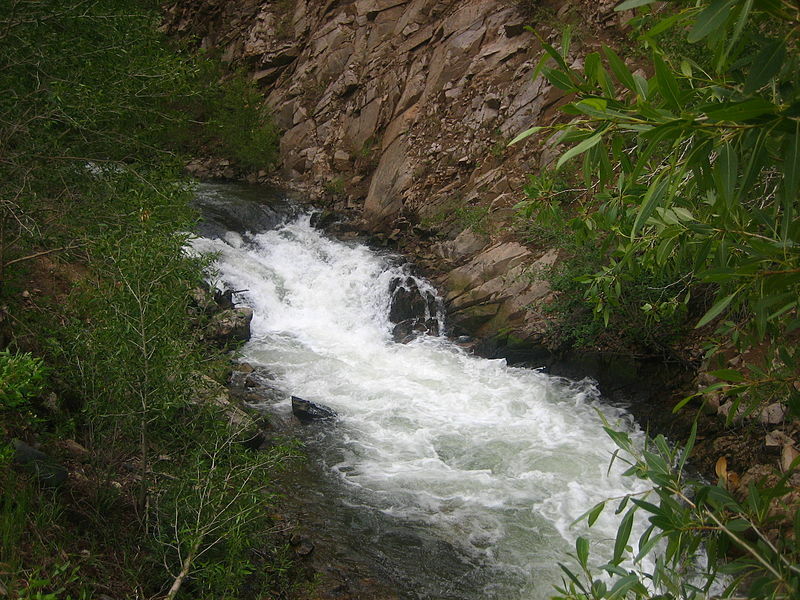 Photo: Red River, New Mexico. By Billy Hathorn.